The range of Automatic Packing Machine offered by us is widely appreciated in the market for its durability and rugged construction. Collar Type Auger Filler machines are fabricated by a team of experts, in compliance with the international quality standards. Moreover, we make sure that the ordered products get delivered at the clients’ premises within the committed time frame. 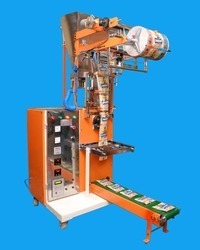 We are leading manufacture of Snacks Packing Machine. The range of Collar Type Auger Based Filler offered by us is widely appreciated in the market for its durability and rugged construction. Collar Type Auger Filler machines are fabricated by a team of experts, in compliance with the international quality standards. Moreover, we make sure that the ordered products get delivered at the clients’ premises within the committed time frame. 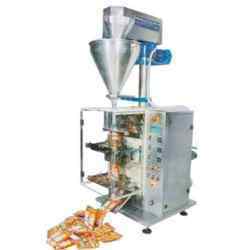 Our organization is engaged in offering Pouch Packing Machine.This range of the machines are widely used for pouch packing in Milk processing Plant and Milk packaging Plant for free flow liquid like mineral water, milk, buttermilk, soft drink, liquor and all. These machines are manufactured utilizing advanced tools and technologies by our expert professionals. Furthermore, we dispatch only quality-approved end products which are rigorously checked by our quality experts at every stages of manufacturing. 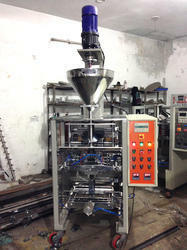 The range of Tea Filling Machine is offered to the clients in varied specifications. Designed by a team of experts, these machines conform to the international quality standards. Owing to the durability and rugged construction, these machines are highly demanded to cater to the industrial requirements in an efficient manner. Looking for Filling Machine Collar Type ?